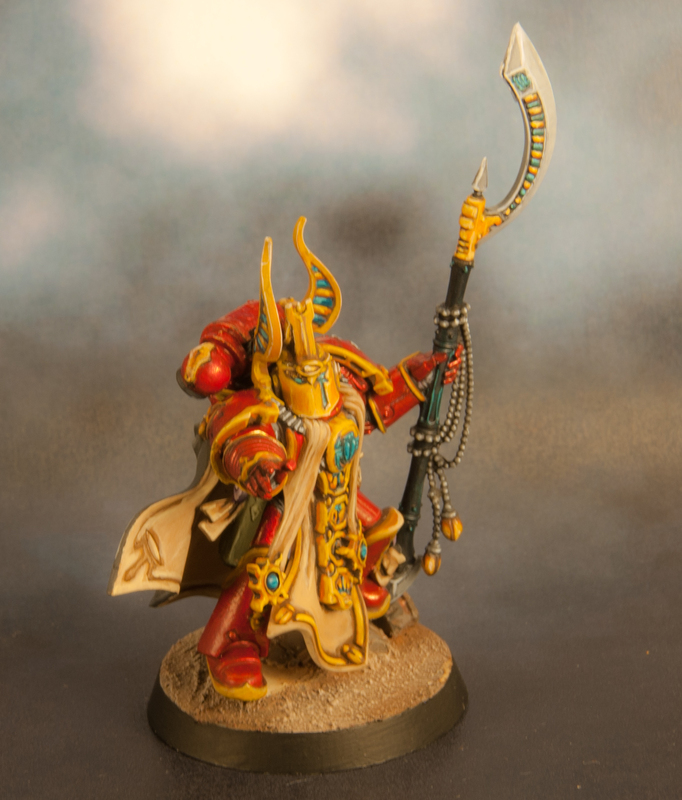 From the moment I saw the Burning of Prospero box I wanted to paint Ahriman. 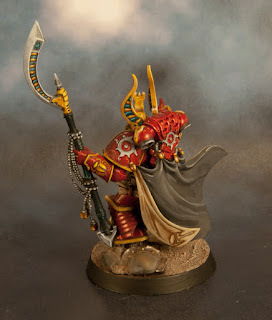 It is a superb model, probably one of the best that Games Workshop has produced lately. 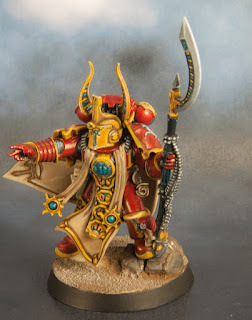 And it is not a huge model as opposed to the most popular ones that have been recently made. 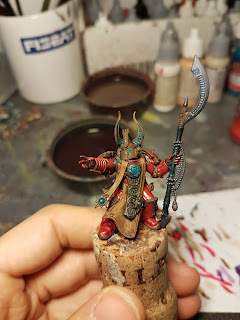 When I saw the Ahriman painted by KeyanSark I knew I wanted to use a similar technique, as I really like the effect he achieved with the gold basecoat for the armour. 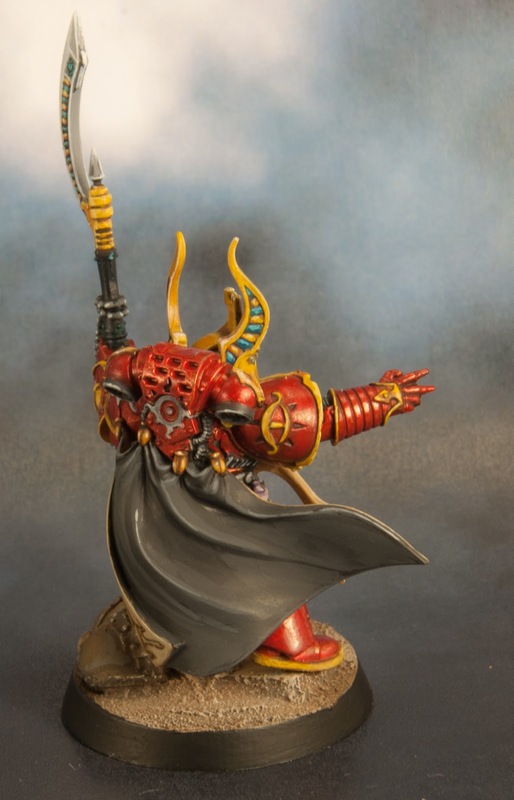 I did something similar, the basecoat was black but then I painted a couple of thin layers of gold on the armour areas. The overall effect is ok, although probably less shiny. I am quite happy of something I have been doing for the past few years, which is keep trying new techniques and slowly improving my skills. 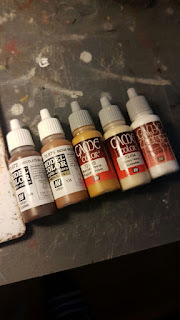 I have been toying around with NMM for a while, never mastering it, but knowing the basics to get an ok-ish result, I think, and lately I am trying wet blending. I decided to use both of these extensively in this model, and see what was I capable of. I still think that KeyanSark's model is better, but I have tried my best. 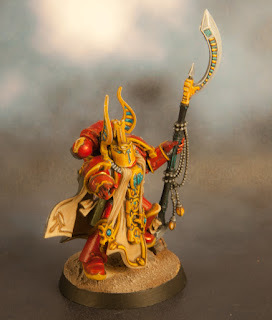 Models like this forces you to push a bit harder and learn a bit more. Here you can see the model with the base colours applied. Contrary to what I am used to, I only applied inks and washes to the grey areas, to bring up the shadows. For the gold NMM I used these colours. This figure has been painted as a present for my brother, as Ahriman is one of his favourite characters from 40K, which he painted some years ago. 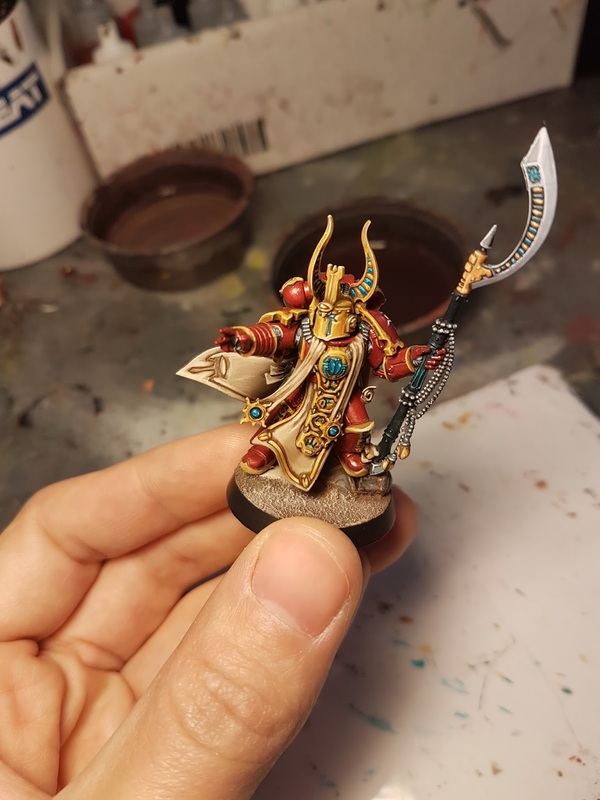 I hope this is the beginning of his new 30K Thousand Sons Army! For the pictures I have tried with different sources of light, as I was not really able to capture the colours. 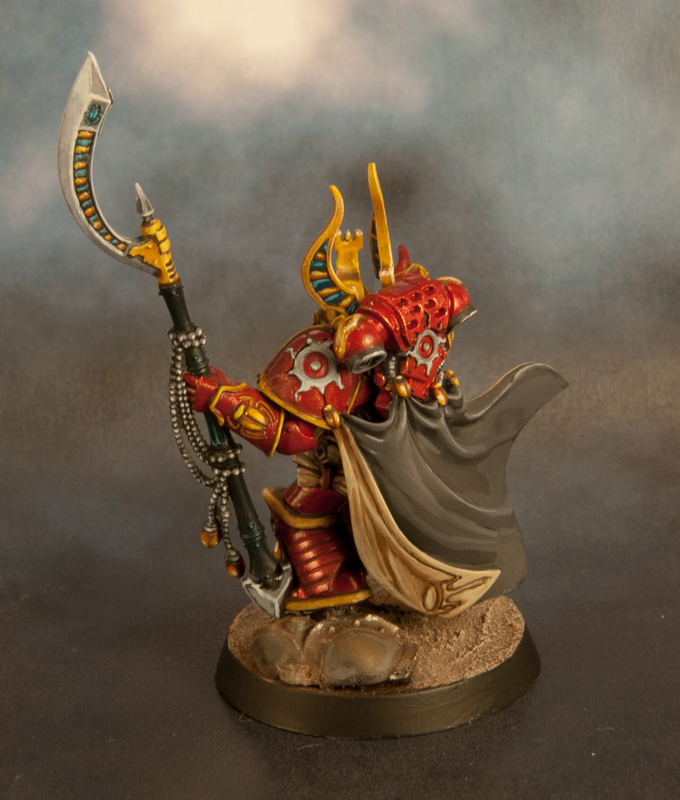 I am getting slowly better at wet blending, which I applied here to the blade. For some reason, in this picture the grey areas seem to have very deep shadows, but it is something wrong with the photo, in fact it is properly blended.